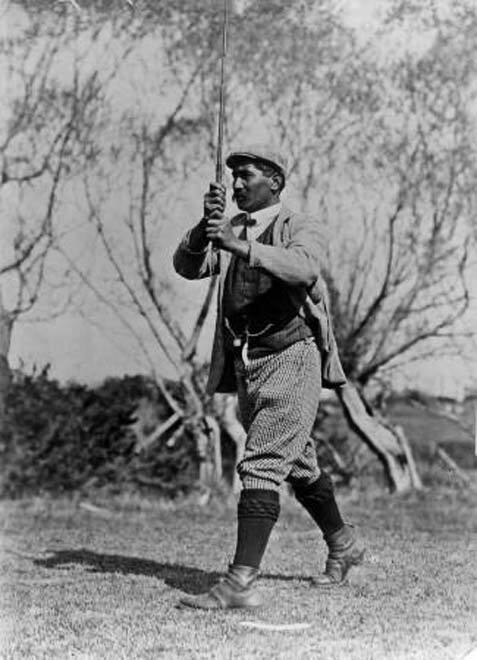 From a chiefly Hawke's Bay family, Kurupō Tāreha of Ngāti Kahungunu enjoyed the land, income and leisure to dedicate himself to golf. His family gave land to form the Napier Golf Links, where he is shown about 1911. On this course, also known as Waiōhiki, Tāreha won the New Zealand Amateur Championship in 1903.